How can you maintain a minimalist wardrobe when you’ll be in Kyoto for the rainy season, hiking mountains in Cape Town, getting down to business in coworking spaces in Split, and then heading out for the night in Mexico City? It’s not impossible. If you have trouble packing a minimalist wardrobe when you’re headed on vacation, just imagine how difficult it would be if you were planning to travel the world for an entire year. Remote Year participants live and work in different global cities every month over the course of four or 12 months, adapting to changing climates, experiences, and customs along the way. 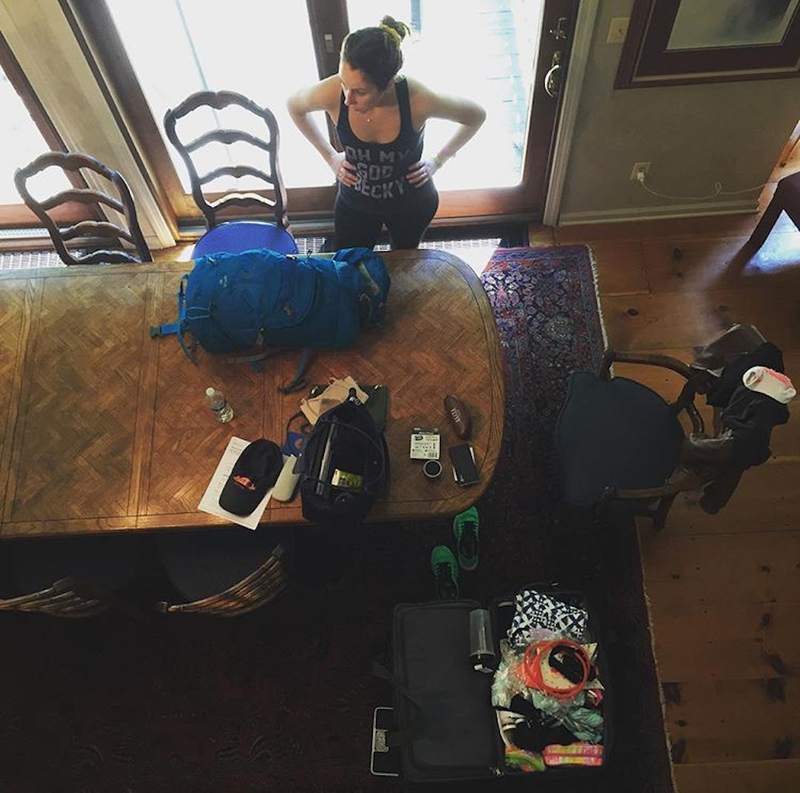 Take it from them: packing for a 365-day adventure is very different from getting ready for a two-week vacation. It’s difficult to anticipate everything that could happen in a year of travel, and it’s even more difficult to try to prepare for it with the items in your suitcase. Throw in the growing trend toward minimalism in travel and you have yourself a pretty predicament - what if, in your attempt to embrace a “less-is-more” mentality, you don’t pack enough, or, even worse, what if you don’t pack the right things? How can you maintain a minimalist wardrobe when you’ll be in Kyoto for the rainy season, hiking mountains in Cape Town, getting down to business in coworking spaces in Split, and then heading out for the night in Mexico City? It’s not an impossible task. Casey Carr-Jones, a member of Remote Year Magellan, and Zach Boyette, a member of Remote Year Kaizen, proved that it can be done… in style. We asked them to share their best tips and tricks for keeping your luggage light and maintaining a minimalist wardrobe during long term travel. Take your minimalist tendencies on the road by joining a work and travel program. First thing’s first, let’s define what a minimalist wardrobe is. A minimalist wardrobe is a small collection of multifunctional clothing - think: five pieces that could turn into a month’s worth of outfits. 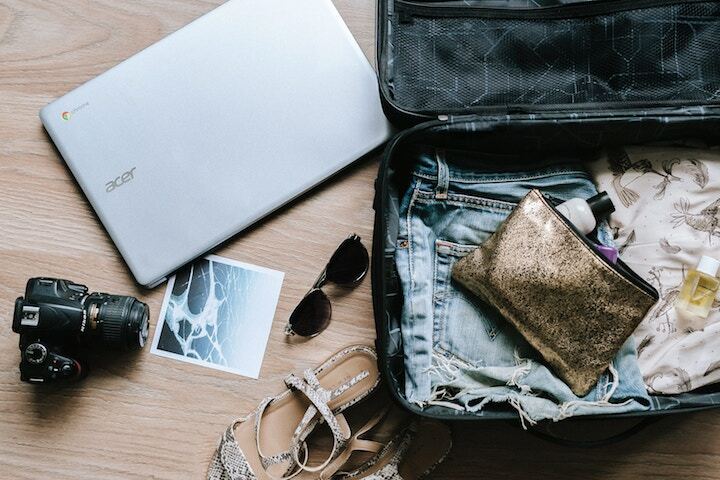 If you’re planning for traveling for an entire year, anything under 65 pieces could be considered a minimalist wardrobe, not including shoes or undergarments. Now for the big question: what did Casey and Zach actually pack for their Remote Year? When creating a minimalist wardrobe, a few key things to focus on are durability, quality, and adaptability. To have a wardrobe that most would consider “minimalist”, it’s not only about the exact number of pieces you have, but what you can do with as little clothing as possible. The key to Casey’s success with minimalistic packing was to ensure that everything she brought was multifunctional. Building a minimalist wardrobe gives you the opportunity to take a look at the way you’ve been presenting yourself to the world and reevaluate if necessary. If you want everyone to know who you are just by looking at your clothing, would it tell your story? Zach’s best piece of advice is to go with your gut and skip the overthinking. “Don’t contingency pack. You can always buy things on the road,” Zach said. Great point. The places that you travel to will most likely stock things that you need - so don’t overdo it on the toiletries or shoe options! Speaking of getting a lot of wear out of your clothes, how do Remote Year minimalists like Casey and Zach keep their clothes in tip top shape so that they can last for the entire year? Another great tip: invest in materials that stand up to the test of time. “Nearly everything I own is merino wool,” Zach said. “It’s magical. You can wear it multiple times in a row, it dries quickly, packs small, and it never smells bad. Don’t overpack your toiletries - there’s a good chance that you can find whatever you need, wherever you’re going. Wash your clothing in cold water and hang your pieces up to dry. These clothes have to last a year after all! Think a minimalist wardrobe is unrealistic for you? Even if you love clothing, you may find that a year on the road with a smaller selection could actually change your perspective on what you need.